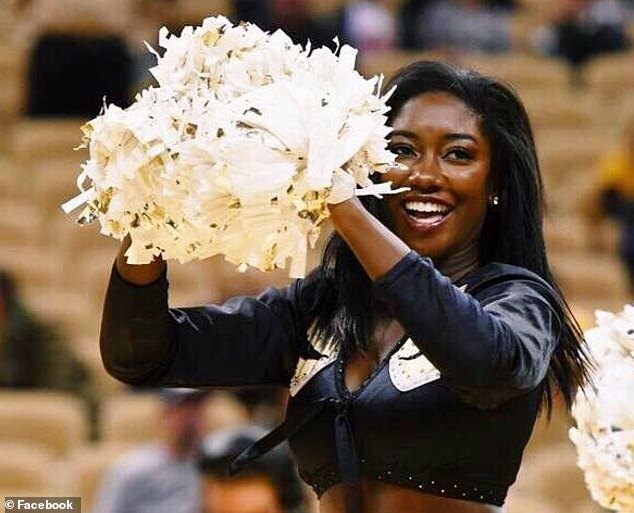 A black student is suing a school district for discrimination claiming she was told her skin was 'too dark' to perform with the dance team. 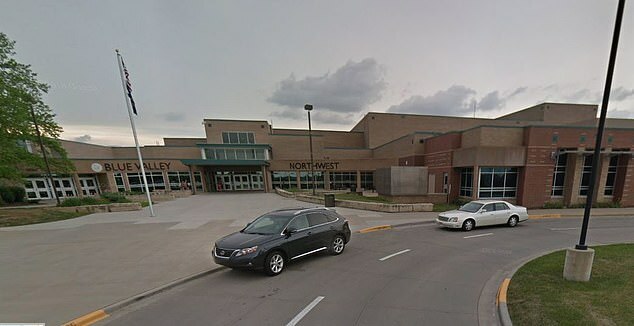 Camille Sturdivant alleges she was barred from taking part in performances at Blue Valley Northwest High School in Kansas City because her skin 'clashed' with the costumes. She was only one of two African-American members on the 14-person 'Dazzlers' dance team. Team choreographer, Kevin Murakami, acted 'on behalf of and in conjunction with' the team's coach, Carley Fine, to exclude Sturdivant from performing in a dance after allegedly saying 'her skin was too dark and the audience would look at her and not the other dancers', a lawsuit filed last month states. Sturdivant claims in the suit that the choreographer also said her skin color 'clashed with the color of the costumes' in July 2017. During a meeting with the principal, Amy Murphy Pressly, Sturdivant's parents were told Fine could 'pick whoever she wanted to perform in the dances', the suit states. When Sturdivant was accepted to the University of Missouri and won a place on the school's Golden Girls dance team, she allegedly discovered texts between Murakami and Fine criticizing her selection. 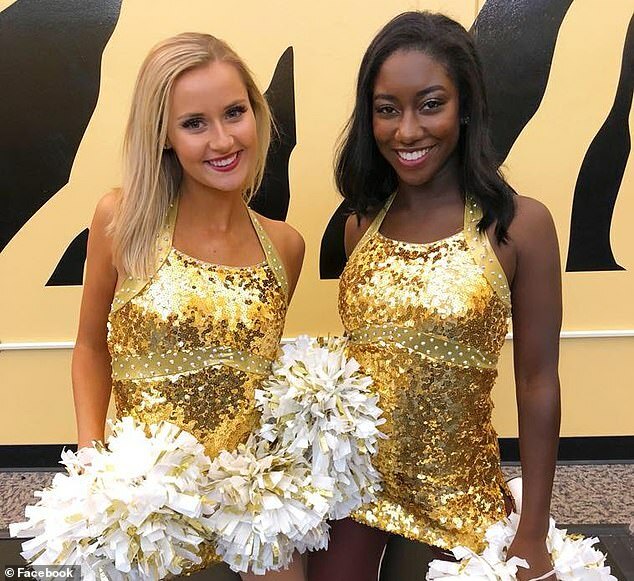 Sturdivant found the messages in May last year when she was using Fine's cell phone to play music for the dance team and was 'sickened' by what she found, the Kansas City Star reports. She showed her parents the exchange and the school principal and Fine was fired the following day. According to the court papers, Fine was told she could not be on school property or have contact with either Sturdivant or the other dancers. But Sturdivant alleges the former coach was seen several times at school and with the 'Dazzlers' since her termination, court papers state. The school principal then told her family that a team dinner, which had been paid for by all the parents of the Dazzlers was canceled. But Sturdivant later found out that Fine attended a dinner with all of the other dancers on the same evening as the canceled banquet, court papers allege. 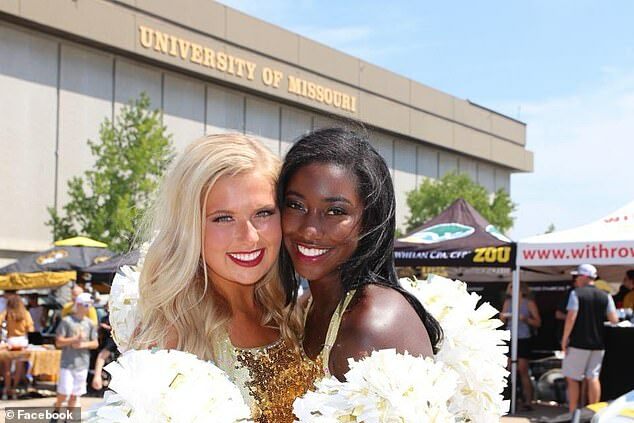 Court papers state that Sturdivant and the other African-American student were also excluded from team photos taken after the final dance performance of the year. At the performance, all the troupe members except Sturdivant and the other African-American team member, wore ribbons on their costumes with the initials CL for Carley Fine, according to the suit. Blue Valley Unified School District said in a statement: 'Respectful and meaningful relationships between staff and students are at the heart of Blue Valley's culture. 'Discrimination of any kind has no place here. The District expects staff to treat all students with respect at all times, and any report that this expectation has not been fulfilled is taken very seriously. Sturdivant is demanding a jury trial and is seeking an unspecified amount in 'actual damages, compensatory and punitive damages'.